Battenberg is an all time classic. Notorious for being accompanied with cups (not mugs) of tea and doyleys. But what if it is a lovely summer’s day, you are sitting with your chums and Godzilla (the neighbour) turns up for a chin wag. Well he’s not exactly going to be impressed with the spread is he? Now I don’t intend on discriminating against people with a larger frame, but he’s going to want more than a mere finger foods. Simple enough to make some tea, a bucket, a dozen tea bags and a few pints milk will have to suffice. But what about some cake, to offer the radioactive reptile none would be down-right rude. Introducing new Fattenberg. 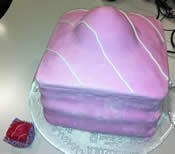 One of Mr. Kipling’s exceedingly fat cakes. Now if you do not have an industrial size oven you may have to split this into batches (much like we did). Remember there are 4 segments to the average Battenberg, 2 pink and 2 yellow. 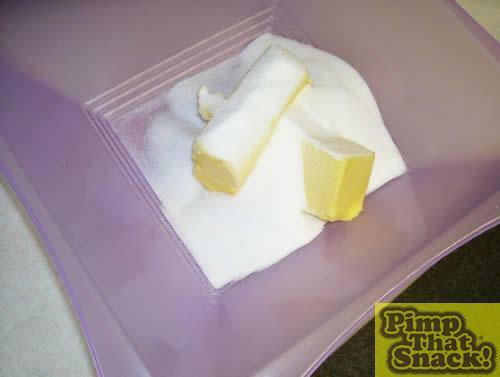 Paste 1½ lb of the butter and 1½ lb of the caster sugar together in a bowl. Lightly beat 6 eggs together in a bowl. We used a fork but some hard cases might want to use knuckle dusters for the beating. 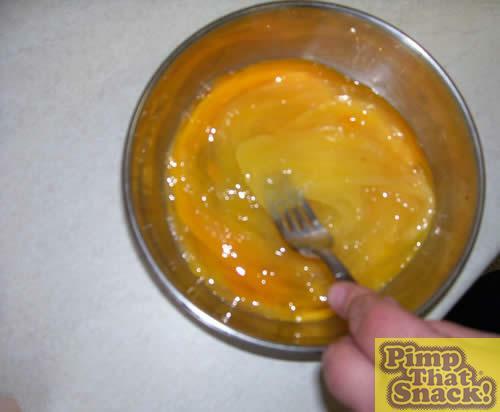 Mix the eggs into the sugary butter paste. 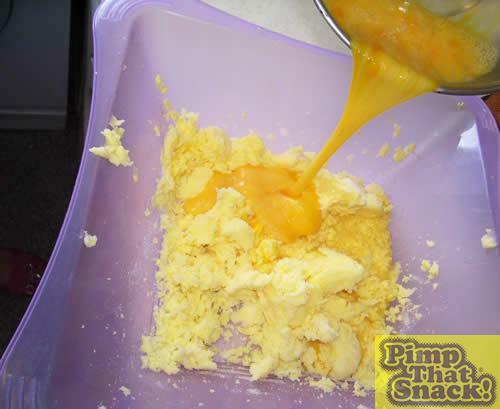 Ok, at the moment it just looks like scrambled eggs but wait until you see the final product. 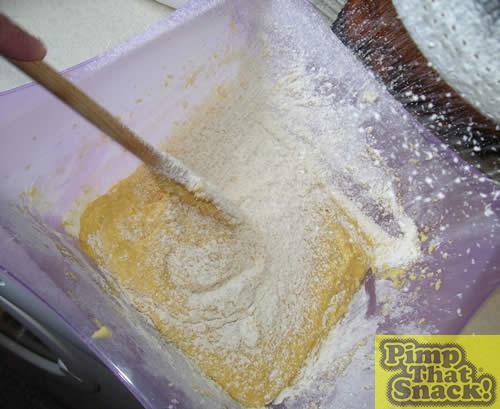 Sift the flour into the mix until it turns to a doughy texture. It looks like a picture taken at a party thrown by a popular model and the lead singer of the band “Babyshambles”. In charades I would say sounds like “Feat Doherty”. 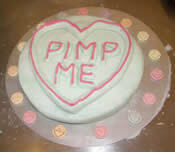 But there is really no point in suing me for liable, I have no money.